Excelencia’s Seal of Excelencia aims to accelerate the number of Latino students attaining college degrees by 2030. The Seal is a voluntary certification to recognize institutions intentionally SERVING Latino students for success based on leadership, evidence-based practices, and the use of data. 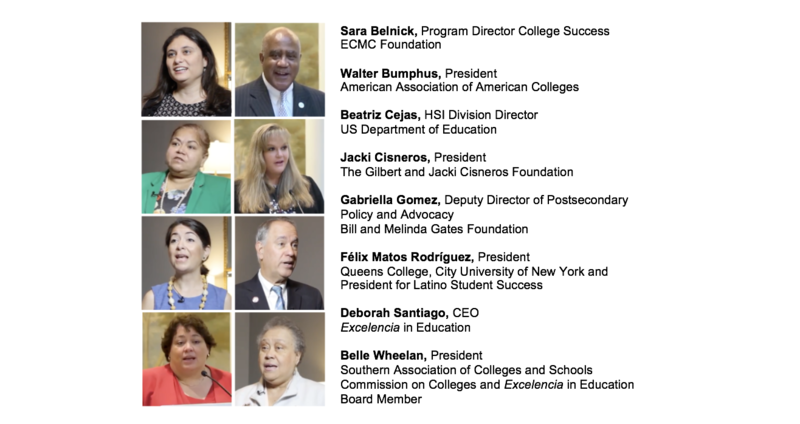 The Seal of Excelencia framework provides a platform where institutions with committed leaders and positive student outcomes will be recognized for their efforts to effectively serve Latino students. Our commitment is to work in partnership with higher education and to operate within an optimistic framework recognizing the accomplishments of many institutions that are SERVING Latino students well. Further, we recognize that developing the ability to serve Latino students enhance the capacities of institutions to serve all students. Colleges and universities will earn the Seal of Excelencia once they demonstrate consistent success in helping Latino students graduate. Specifically, to attain the Seal, institutions will demonstrate they have reached benchmarks in the three core areas that Excelencia has determined are more likely to lead to Latino student success - Data, Practice, and Leadership. Read article in Hechinger Report, "As more Latinos go to college, schools vie to become Hispanic-Serving Institutions"
Read article in Inside Higher Ed, "New Bar for Hispanic-Serving Institutions"